AVL contributed two installations to an interactive arts-technology experience in Krannert Center for the Performing Arts' Studio Theater in celebration of the 2010-2011 season's opening night (September 10, 2010). 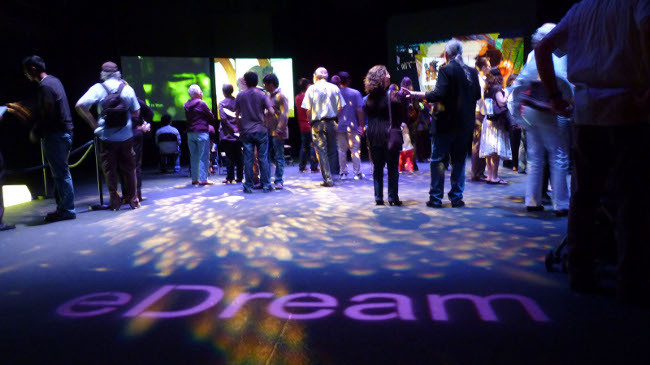 The installations, dubbed Festividad Digital, were hosted by AVL's partner, the eDream Institute. AVL's installations were a montage of original 3D high-definition images of Manuel Antonio National Park, Costa Rica that transported visitors south and a virtual tour of Buenos Aires where visitors splashed digital murals on barrio walls (with complementary sound f/x). AVL's contributors to Festividad Digital were Bob Patterson, Alex Betts, Stuart Levy, Jeff Carpenter, Matt Hall, AJ Christensen, and Donna Cox.